Oh, please be safe while hiking! I’m so impressed with people who can knit while walking…I can’t walk and talk at the same time. I don’t know how you haven’t cast on with that luscious stuff yet…don’t you feel a cold coming on, so you can stay home with that yarn???? Nice yarn and that first picture almost looks like a postcard. Just be careful and pay attention to the trail. We wouldn’t want you to trip over a branch and drop a stitch :). I even had my knitting in my lap while waiting on a red light to change. You think that’s a little addicted. Now that is dedication to your craft while getting some exercise! You could always knit yourself a sleeping bag. I LOVE LOVE LOVE the look of that yarn. That’s exactly what I am looking for to knit up a sweater coat from Fall 2008 Vogue Knitting! Maybe I’ll find something similar at Rhinebeck….ooooh three weeks and counting! ha. i love that i am not the only one. i totally knit on the trail when the boys were smaller and we would hike with them. it drove tim crazy but it was some of the only spare time with two free hands that i had in those early months. 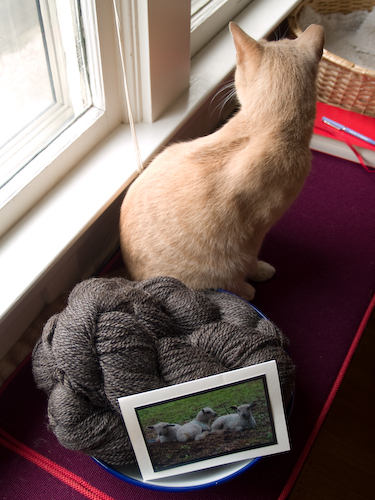 i would knit with that dreamy stuff too…whenever, where ever. I think the backpack idea is brilliant. I have a clip-on bag with a drawstring and I stuff a ball of yarn in there to knit out of while I walk. Makes for a pleasant stretch of the legs. I know I’d try that! 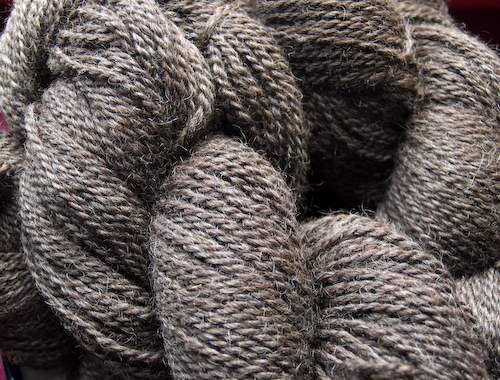 The yarn is absolutely begging to be knitted. tell him i said stuff it. it’s an efficient use of time, and multi-tasking at that. 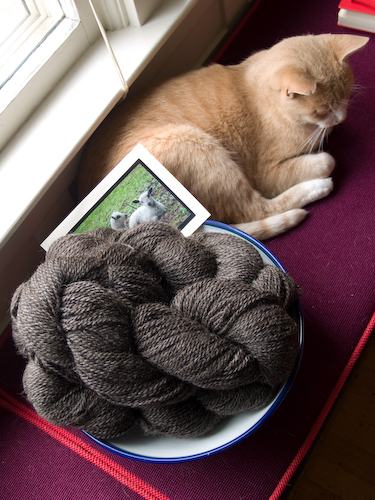 you’re a knitter extraordinaire, you can swatch and enjoy the scenery at the same time! I think it’s a marvelous idea! I’d love to see a picture of that knitting/hiking technique! Hope you had a great weekend camping — I’m jealous. The lack of outdoor activities is a big downside to living in Chicago. That’s such a good idea, I’m going to have to remember that one. I really want to squeeze in another camping trip this year before it gets too cold but I don’t think we have a free weekend from now till December! I hope you enjoy your trip.